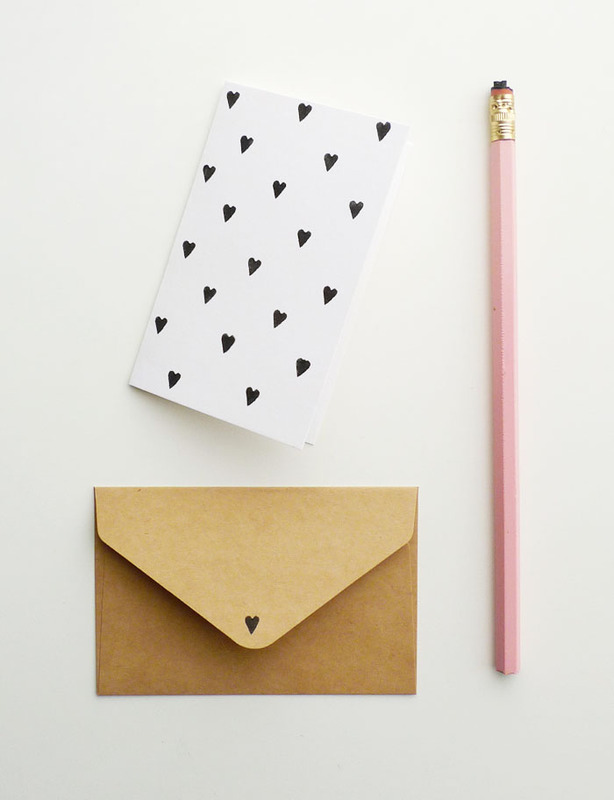 Riffing off my other eraser printing DIY project, which uses a new pencil eraser to make cute polka dotted gift wrap, I thought I’d take that DIY a little further for Valentine’s Day. I love using stamps to make patterned gift wrap or cards, and carving your own heart stamp is super easy! 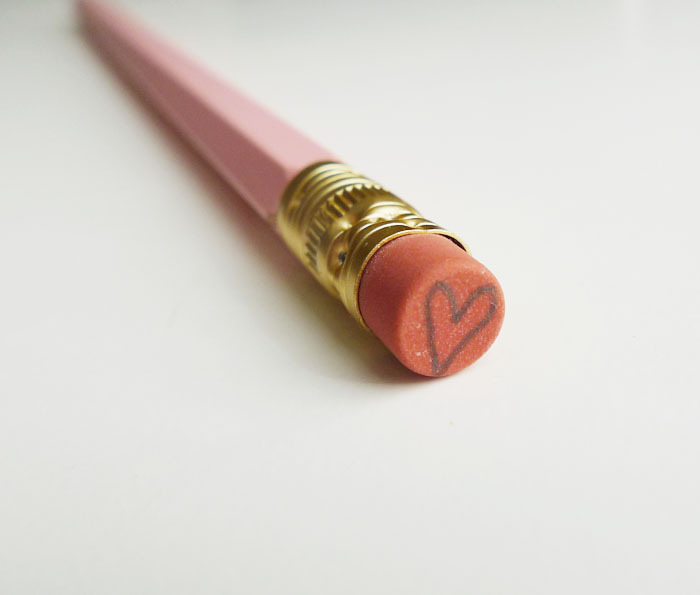 Start by drawing a little heart on the unused eraser. This will be your guide as you carve. Proceed by carefully (and I mean CAREFULLY! I don’t want anyone getting hurt!) cutting around the edge of your drawing, and cutting away the edges. 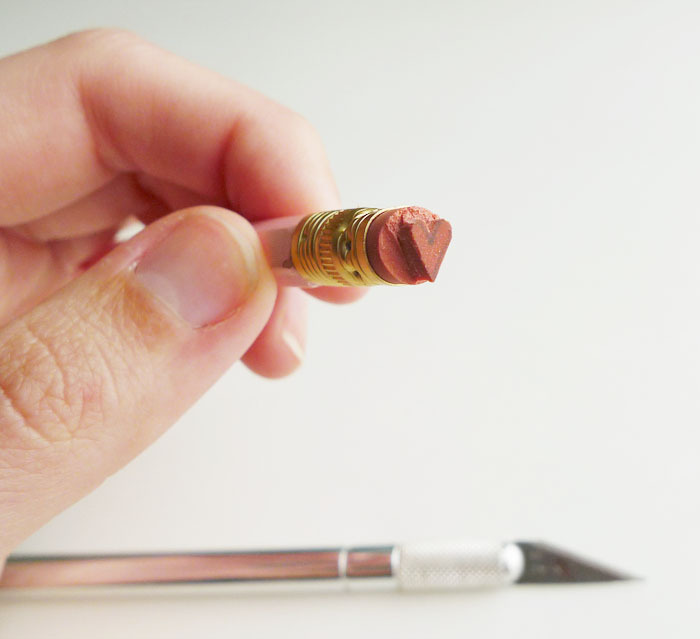 It’s very easy to accidentally lob off the whole eraser if you’re going too fast, so take your time. Watch out for your fingers, those x-acto knives are sharp! All that’s left to do is stamp! I used a black stamp pad, but you could use any color. I would love to do this project using neon pink ink. 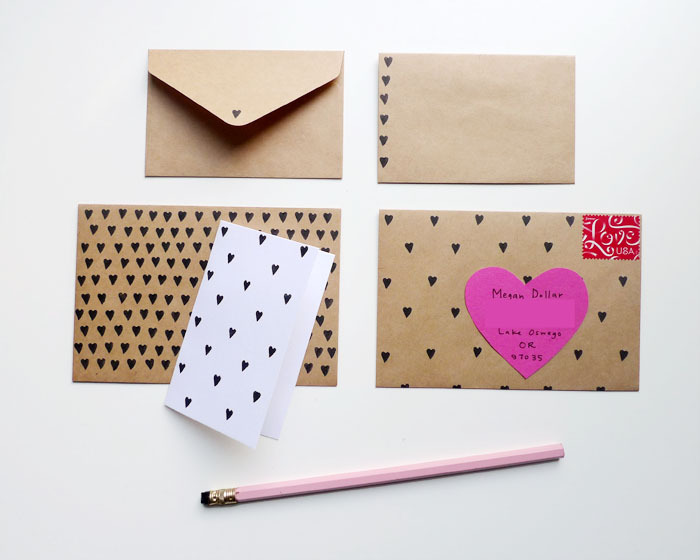 You can go super simple, just stamping a single tiny heart on the card or envelope, or you can go wild! I made a few different versions, one of which I am sending to my sister. I made her address label using some of the leftover paper! 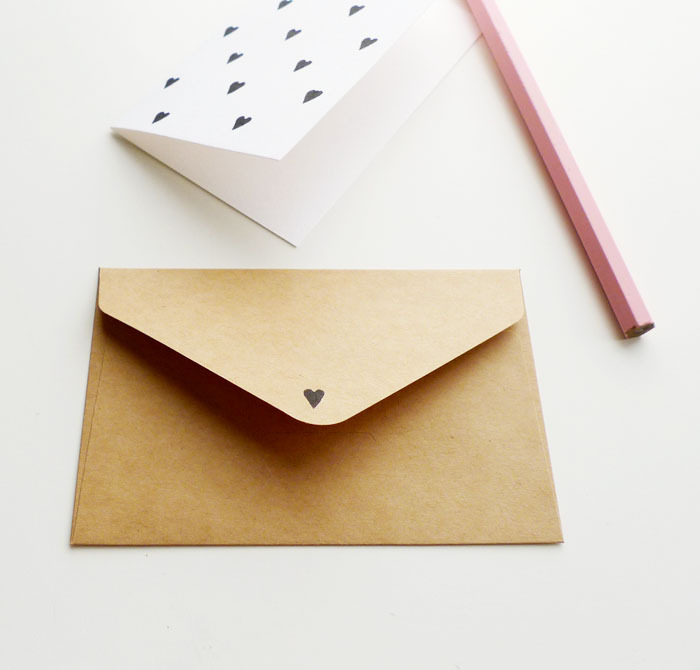 Hope you’re inspired to send a sweet snail mail valentine to someone you love. 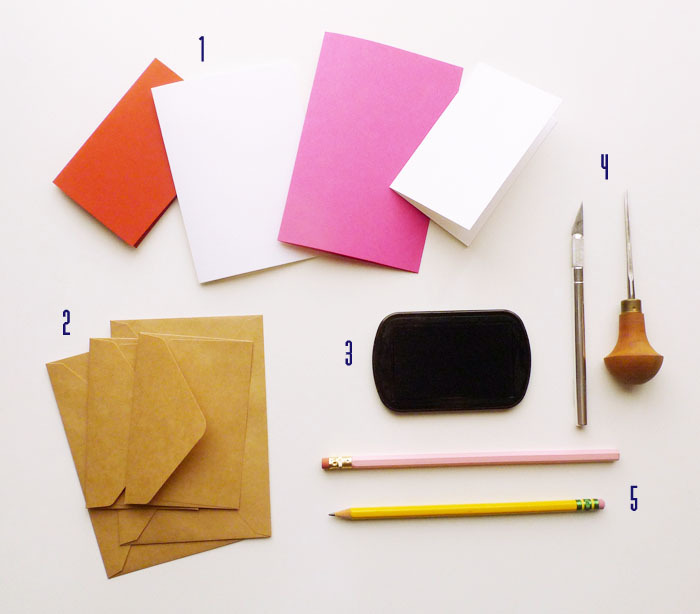 « Want to receive the Cotton & Flax Newsletter? so cute! I love the variations you came up with. is that a pink paper pastries pencil? Very creative. I love crafts that I have all the materials for! I love this! I will show this great diy with my readers this friday and send everybody to your blog!